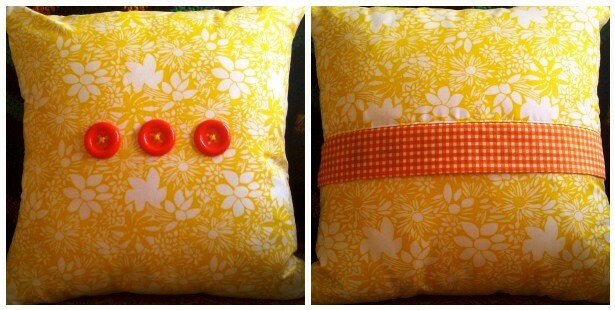 This cushion cover is a single layer of fabric i.e. 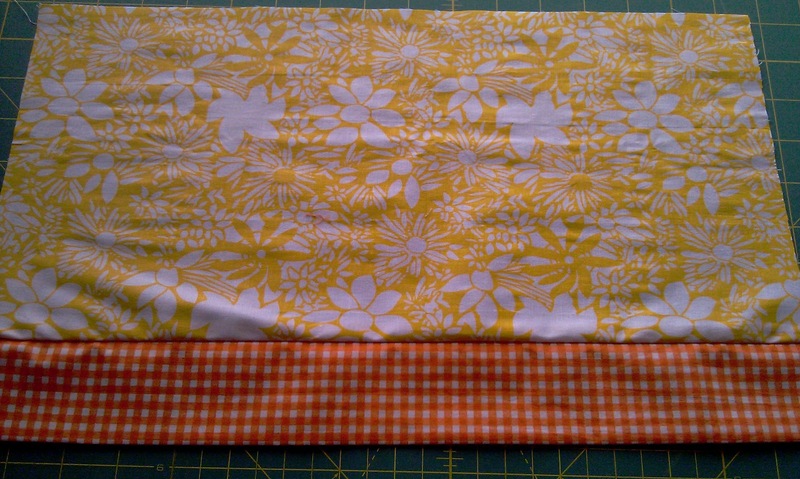 not quilted, so you may wish to use decorating weight fabric or denim. The finished size is approx. 16″ x 16″. 1. 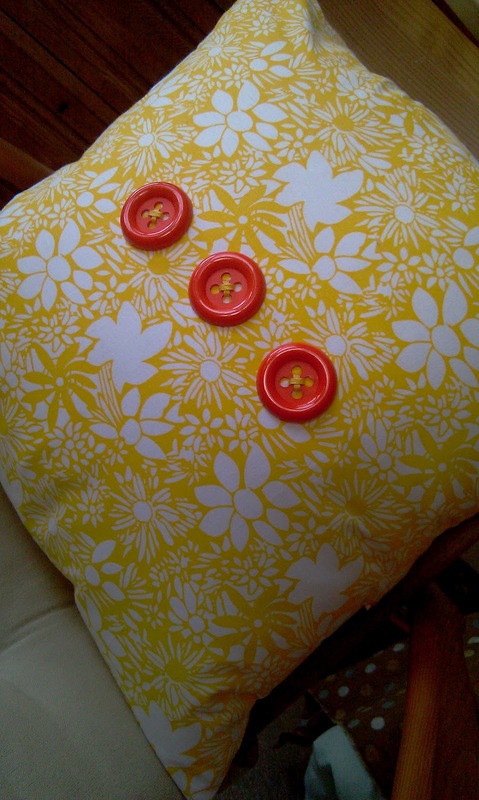 First we will make the back of the cushion cover. 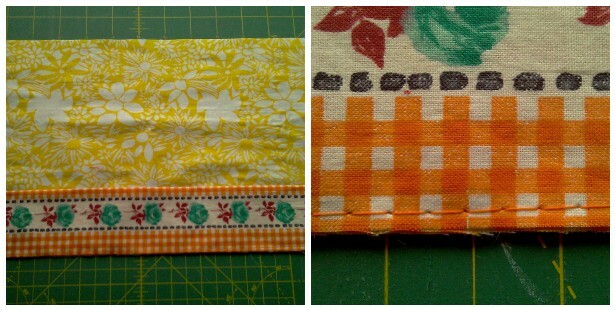 Take the strip of fabric for the band that will cover the zipper. Iron this in half lengthways, with wrongs sides touching. 2. 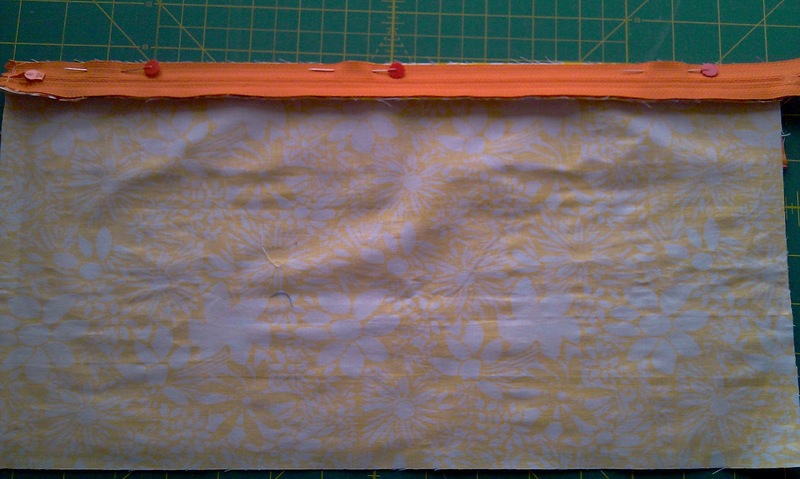 Now take one of the back pieces (16″ x 8.5″) and lay it down right side facing up. Place the folded banded on top, right sides facing, aligning the raw edges along the top. Machine tack in place. 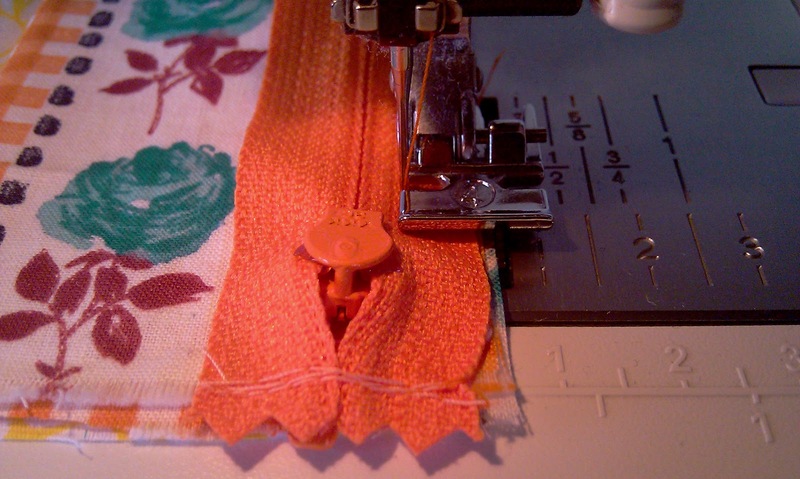 Note: Machine tacking is when you increase the stitch size on your machine to the largest size it will go, and sew less than 1/4″ from the edge. There is no need to remove machine tacking later, unlike hand tacking. 3. 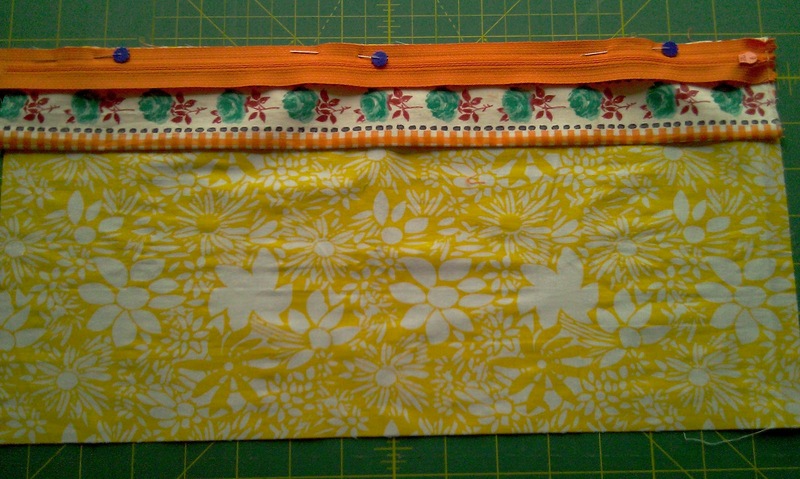 Take your zipper and either machine or hand sew the open ends together. This will make it easier to sew down. 4. 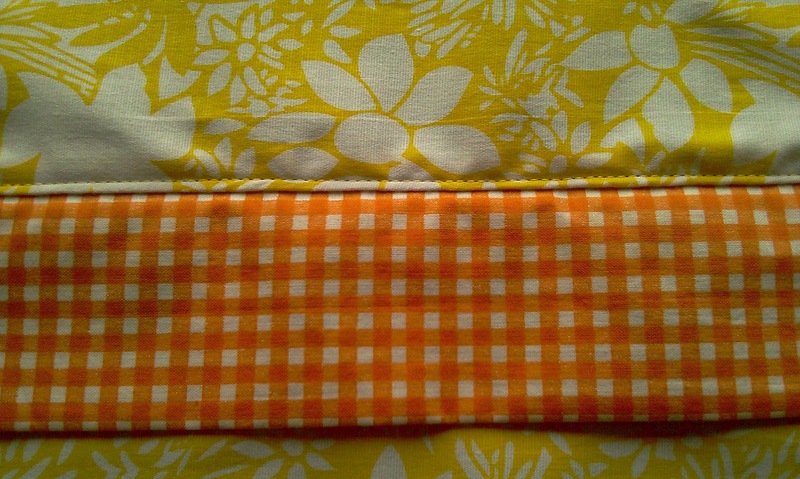 Lastly, place the zipper on top, right side facing down, again aligning the top edges. Pin all the layers along the outer zipper edge. Note: Your zipper edges will be longer than your fabric (the 16″ zip measurement refers to the actual length of the zipper mechanism only, not the total length of the zip+fabric ends). Position your zip so that the zipper pull end is aligned with the edges of your cushion, and let the opposite end of the zip hang over as excess. This will be trimmed off later. 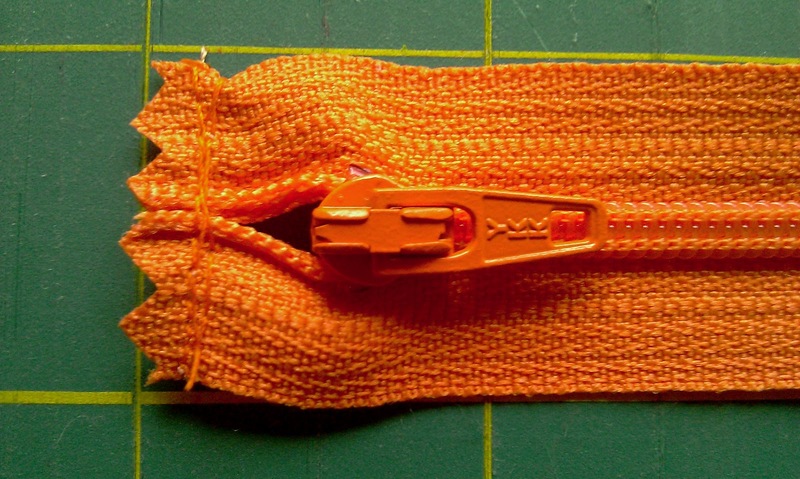 Check your zipper for metal stoppers – you can sew over plastic parts but not metal parts! 5. 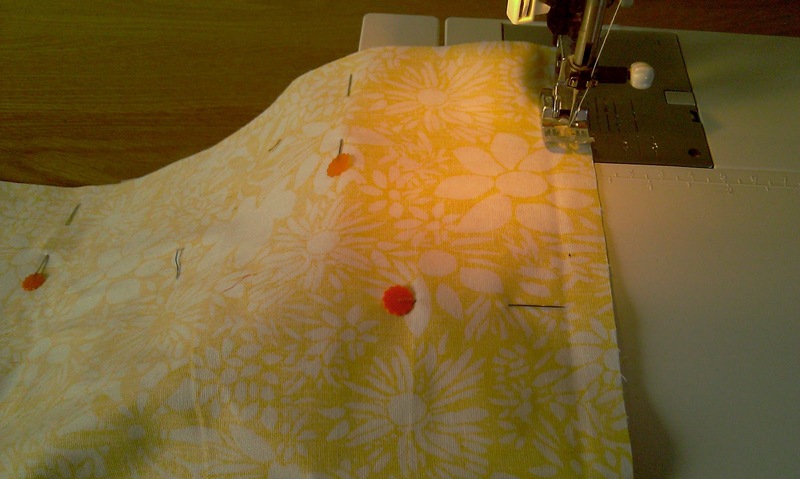 Attach the zipper foot to your machine and position the fabric ready for sewing. You should be sewing at least 1/4″ seam along the edge of your zipper, as close to the teeth as you can, without sewing into them. 6. When you get to the zipper pull, carefully sew around it. 8. Flip the band back to expose the zip again. Now we are going to attach the other half of the cushion back. 9. Lay the other piece of fabric down (16″ x 8.5″) right side facing up. 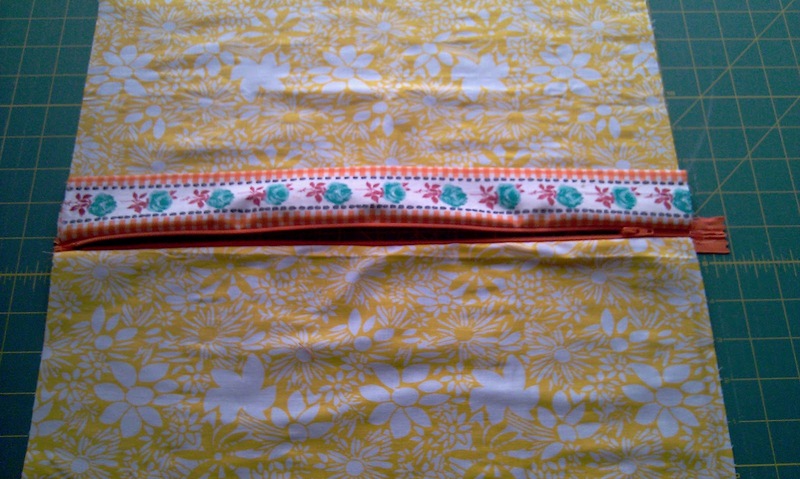 Place the zippered section on top, right sides together, aligning the zipper edge with the top edge of the fabric. 10. 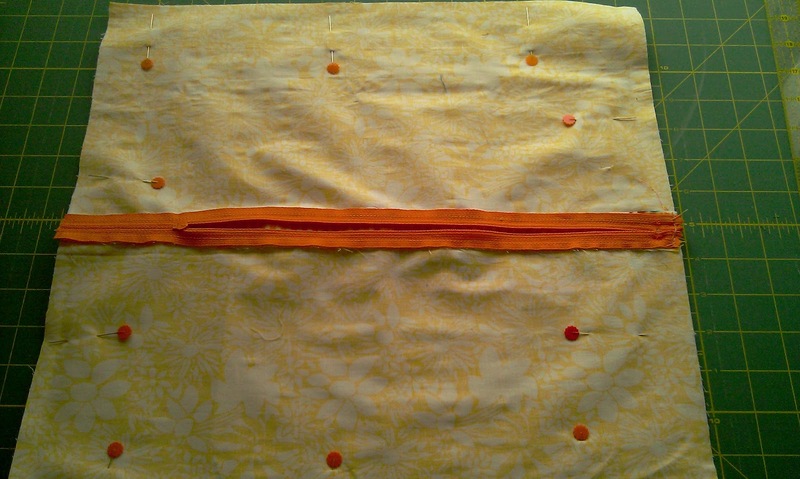 Pin the layers in place and sew down the remaining side of the zipper, as you did with the first side. 11. Once your zipper has been attached, make sure you can open it easily. 12. 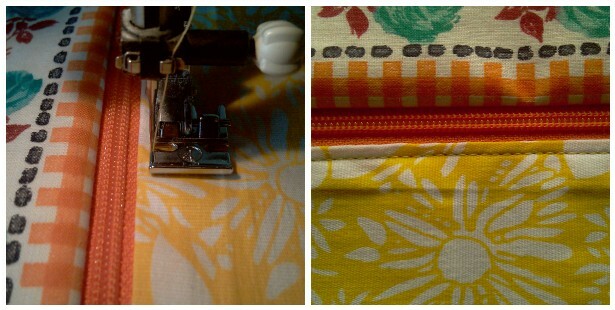 Close the zipper, give the fabric a gentle press with the iron. Now we will finish off the zipper with an edging seam. 13. 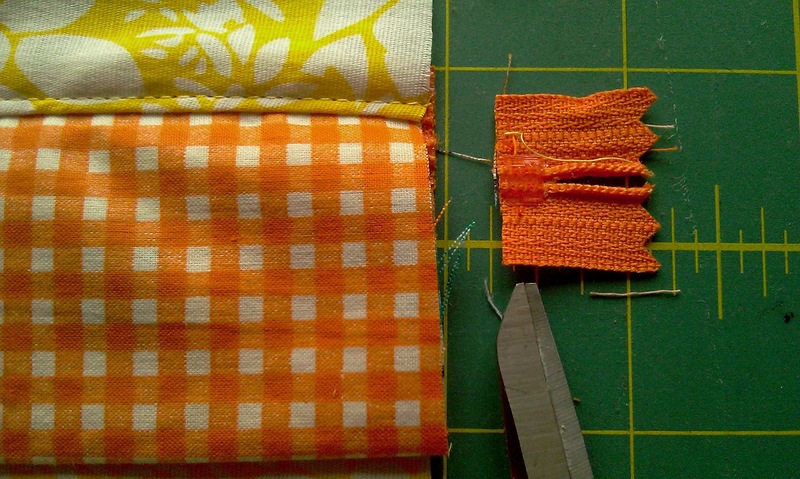 Flip the band back, and on the opposite side of the zipper sew less than 1/4″ along the right side of the fabric, where it meets the zipper. You will need your zipper foot for this. 14. 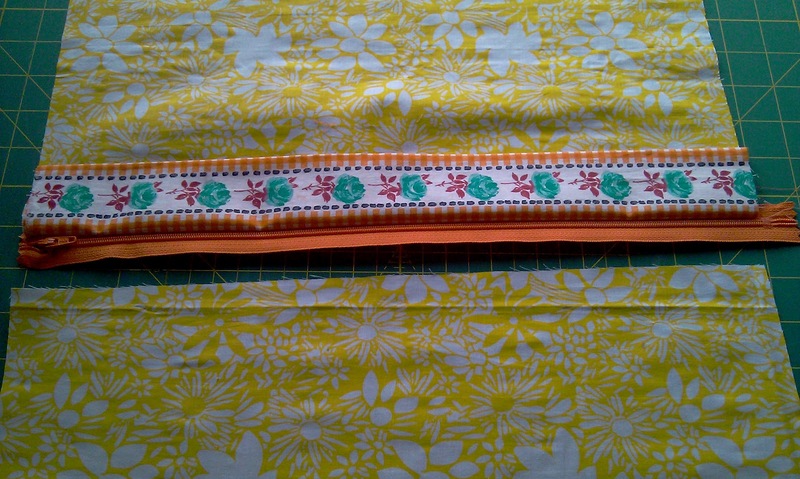 Now flip the band down, and sew an edging seam along the edge where the fabric meets the band. Remember your zipper is hidden underneath the band, so keep your zipper foot on for this. 15. Snip off any excess zipper. 16. And that’s the back of your cushion cover complete! Well done for getting this far! Now onto the front. 17. 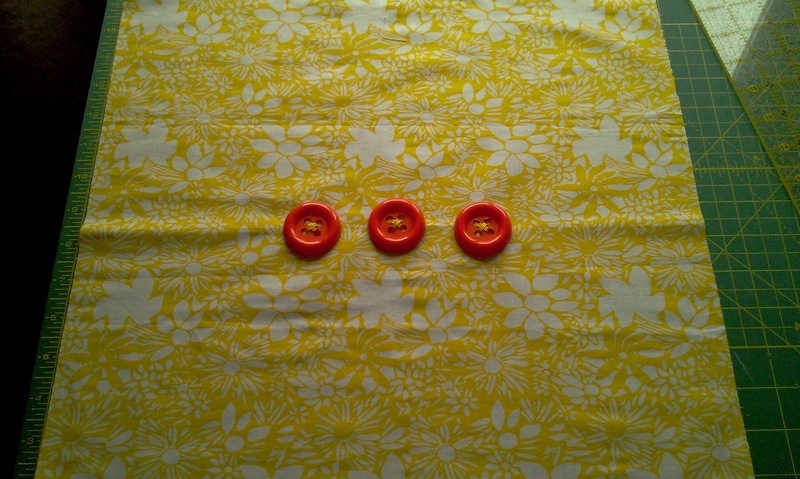 Sew on any buttons to the front piece of fabric. 18. 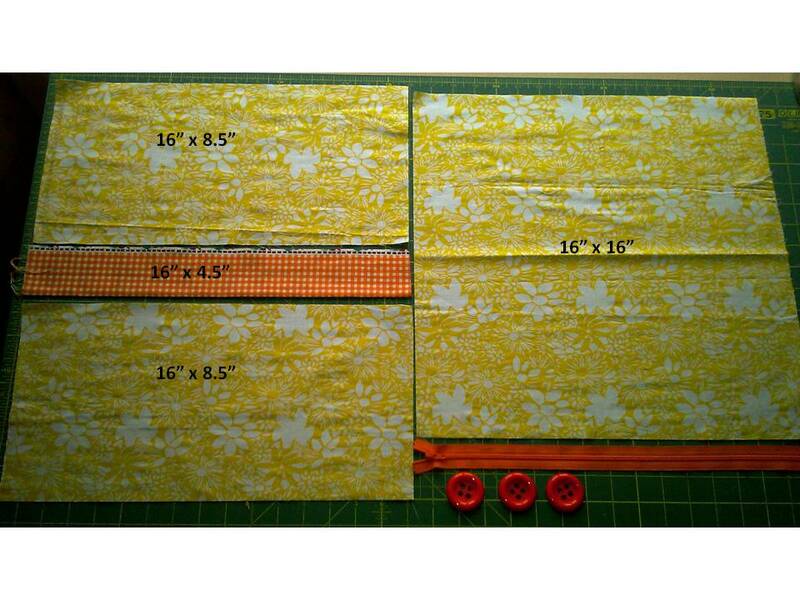 Open the zipper, before placing the front and back pieces right sides together. Pin around all 4 edges. Note: Make sure the band inside is lying flat & in the correct position i.e. covering the zipper. 19. 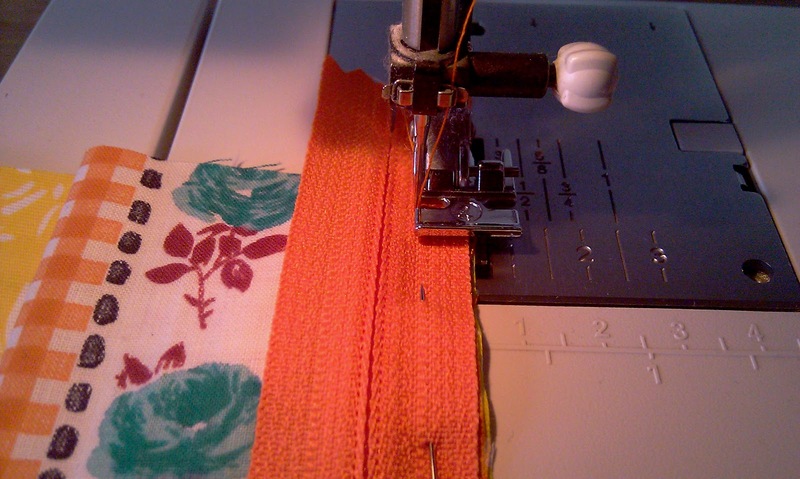 Put your normal sewing or 1/4″ foot on your machine and, starting at a corner, sew around all 4 edges. 20. 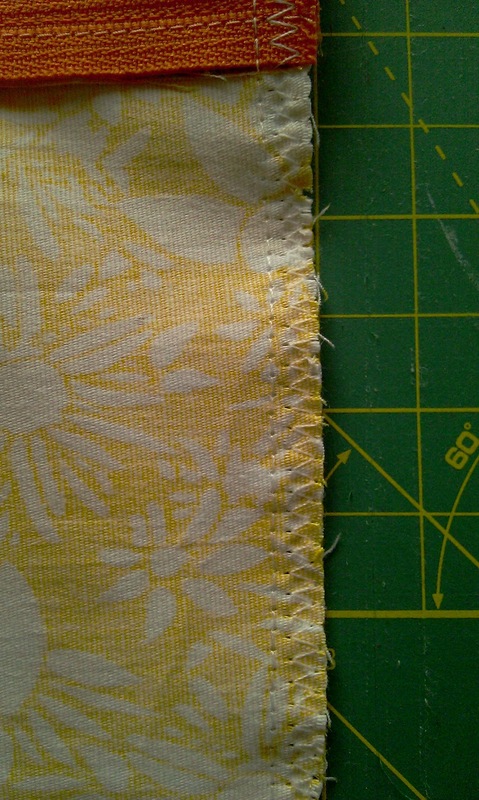 Now sew a zigzag stitch around all 4 edges to reduce fraying. 21. Turn the cover right side out through the zipper opening, carefully push out the corners with scissors or a crochet hook, and insert the filler. 22. Step back and admire your cushion!